Vivitar of Edison, N.J., is recalling about 60,000 hot/cold massage balls. The balls can leak or rupture during or after microwaving, posing a burn hazard to consumers. This recall involves Vivitar Hot/Cold Massage Balls that are teal, light pink or lavender and come in a package of two balls one smooth ball and one with raised bumps. The name Vivitar, model number, date code, and UPC can be found on the bottom of the product packaging. The date code can also be found on the smooth ball. 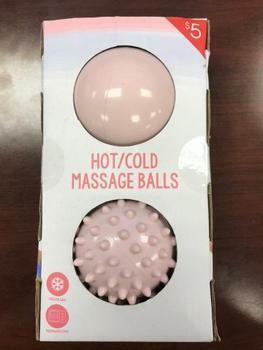 The massage balls, manufactured in China, were sold exclusively at Target stores nationwide from December 2018, through February 2019, for about $5. Consumers may contact Target at (800) 440-0680 from 7 a.m. to 8 p.m. (CT) Monday through Friday or online at www.target.com and click on Recalls at the bottom of the page, then on Sports/Fitness/Outdoors for more information or the Product Recalls tab on Target’s Facebook page.